Every one of us sooner or later walks through hell. The hell of being hurt, the hell of hurting another. The hell of cancer, the hell of a reluctant, thunking shovel full of earth upon the casket of someone we deeply loved, the hell of betrayal, the hell of betraying, the hell of divorce, the hell of a kid in trouble . . . the hell of knowing that this year, like any year, may be our last. We all walk through hell. The point is not to come out empty-handed. . . . There is real and profound power in the suffering we endure if we transform that suffering into a more authentic, meaningful life. In the spirit of such classics as When Bad Things Happen to Good People, A Grief Observed, and When Things Fall Apart, More Beautiful Than Before: How Suffering Transforms Us examines the many ways we can transform physical, psychological, or emotional pain into a more beautiful and meaningful life. As the leader of Wilshire Boulevard Temple, one of America’s largest and most important congregations, located in the heart of Los Angeles, Rabbi Leder has witnessed a lot of pain: “It’s my phone that rings when people’s bodies or lives fall apart,” he writes. “The couch in my office is often drenched with tears.” After 27 years of listening, comforting, and holding so many who suffered, he thought he understood pain and its challenges—but when it struck hard in his own life and brought him to his knees, a new understanding unfolded before him as he felt pain’s profound effects on his body, spirit, and soul. 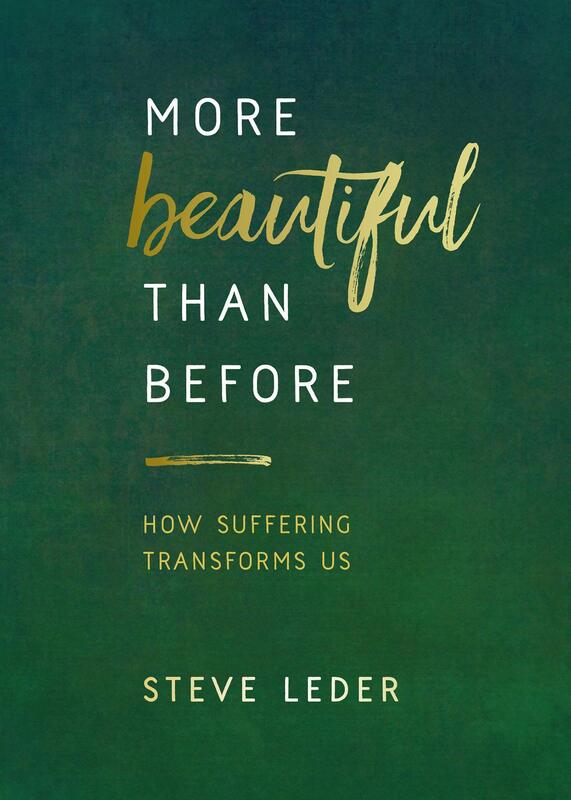 In this elegantly concise, beautifully written, and deeply inspiring book, Rabbi Leder guides us through pain’s stages of surviving, healing, and growing to help us all find meaning in our suffering. Drawing on his experience as a spiritual leader, the wisdom of ancient traditions, modern science, and stories from his own life and others’, he shows us that when we must endure, we can, and that there is a path for each of us that leads from pain to wisdom. “Pain cracks us open,” he writes. “It breaks us. But in the breaking, there is a new kind of wholeness.” This powerful book will inspire in us all a life worthy of our suffering; a life gentler, wiser, and more beautiful than before.